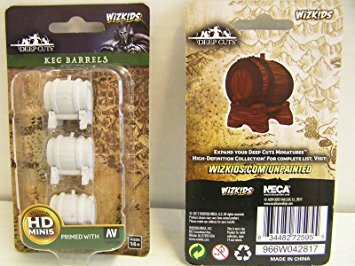 Small Scenics: Wizkids Keg Barrels and Uruk-Hai Siege Bombs | Azazel's Bitz Box. 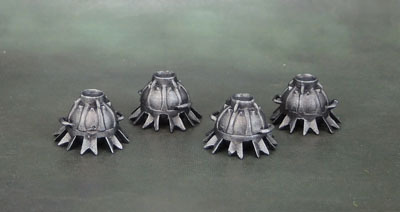 This entry was posted in Lord of the Rings, Small Scenics, Wargame Scenery and tagged Citadel Lord of the Rings Uruk-Hai Siege Bombs, Wizkids Keg Barrels. Bookmark the permalink. Yep. Just more stuff to detail in those gaps on the table! Nicely painted. 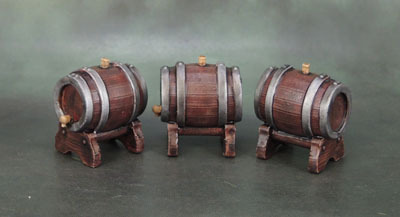 From a diorama perspective a barrel for example, of anything you call scatter, is just as important as the figure(s). Yep, that’s why I bother with putting in the level of effort I do with these sorts of things – which isn’t huge, but more than “paint brown, done”. They provide the detail and fine texture to the big picture that larger objects like trees and buildings create. Couldn’t agree more and the effort you put in shows. No problem. You should be able to have them done pretty quickly. Most of the time they took would have been the drying between coats. You might not be as happy with them as you’d like to be, but they look fine to me! They’re fine as finished items. Just not well designed models to paint! 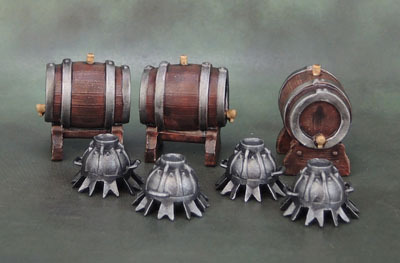 I could see those barrels getting use in Blood Bowl, to represent the Bloodweiser Inducement. The loss of detail in them is a bummer, tho. Alexis stole my thoughts and words! Umm, let’s see… the stain effect turned out nice too. Seriously, as usual, my mind went straight to Blood Bowl, and I would not be surprised if I buy those kegs soon. Though I’m also trying to steer clear of too many sideline figs. Will see. 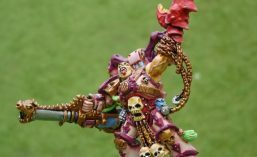 IF I do buy them, I am definitely going to try my best to mimic the awesome work you did on painting those up though! 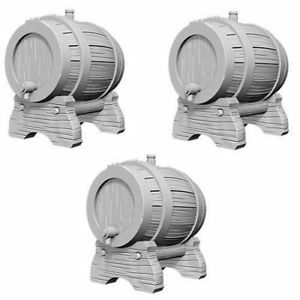 I really like your barrels, it’s too bad that the details aren’t great on these models. I always say its what you do with the models that counts, and I like these. The shading on the barrel rings and the wood grain works. Sometimes, its just important to make a good effort, and you did more than that on these. Like them!